As we enter 2018 in earnest, it’s important not to forget the lessons of last year. 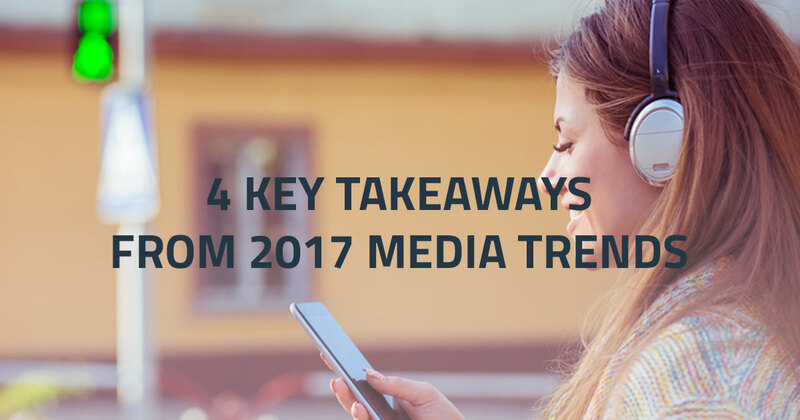 Examining 2017 trends gives us hints as to where people’s media consumption habits are heading in the future. In order to reach your target audience effectively, it’s important to understand the kinds of media that they’ll be spending most of their time on in 2018. Each day is an opportunity to learn new things. YouTube is not one to sit in the back seat and watch technology develop. As one of the leaders in streaming advertising, YouTube has introduced something new and exciting into this arena. This year, YouTube began supporting the upload of 360-degree videos. These videos allow the viewer to explore the filming area: look forward, backward, to the left, or right. Going beyond the “standard” view of most YouTube videos, we are now free to explore what is happening all around the video, check out all the angles while the video is playing. YouTube is bringing many of the features of virtual reality to its app - not only can you watch the video, but you can feel as though you’re in the video! “Your phone becomes a window to a story happening all around you” Wilms & El Guerrab. It’s that time of year again. The time when football has taken over the lives of many households. Team colors are worn at every chance possible, friendly trash talk is overheard at the grocery store, bandwagon fans have lost their voices too, and marketers are doing everything they can to connect their product/service to the realm of football and Super Bowl madness. This is crunch time. Over the past couple of years, excitement for the Super Bowl has been on a steady rise. The ‘day of’ excitement is a thing of the past. It has now expanded into a season of build-up with an intense final month starting at the beginning of January. This is an opportunity too great to pass up, and with these helpful tips your business can make the best out of the big game! Google recently published an article demonstrating the capabilities YouTube has to extend the reach and engagement of video advertising. Today, the means to advertise your product are in a time of change. The use of computers, laptops, and mobile devices is on the rise. Less consumers are viewing television in the traditional way: on the television, in the living room, waiting patiently through the commercials. Viewers are now streaming their favorite shows, while on the move, and skipping commercials that are not relevant.